I has to say, this Lady gots the right ideas. 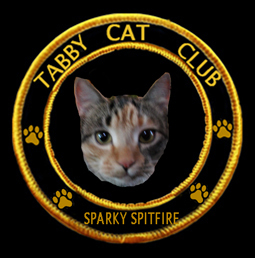 IF i wasn’t busy all day, fighting off hordes o’ zombie squirrels and teh coming molemaggedon, i would so join teh Navy. 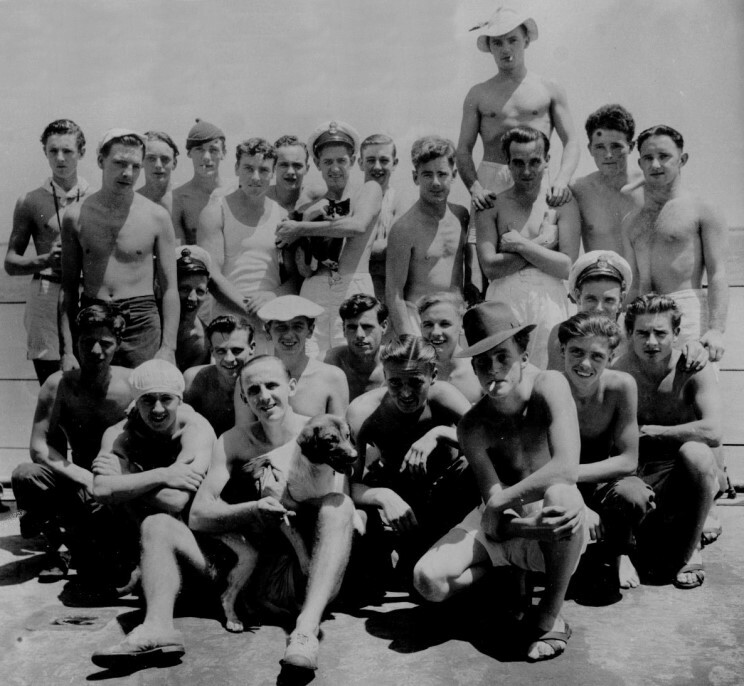 Like the kitteh Saipan, here, who was rescued during WWII battles in the Marianna’s Islands and made mascot of the USS New Mexico, I’d get my own kit and and bunk and all teh ship rats I could eats. Would also be able to disregard reveille, as Saipan is doing here, calmly ignoring her crewmate’s threat of being sent to teh brig if she don get outta that bunk by eleventy-hundred hours. as if a brig could hold a cat. or teh kittehs of the USS Mississippi, who clearly helped to entertain crew members wif times on their hands. In fact, while humans tend to choke in disbelief at the thought of cats actually performing military “service,” naval kittehs have, since the very beginnings of war, been standard issue, working hard to keep the supply of vermin low and crew morale high. As expert mousers, or furry visitors to curl up in a hammock, a warm shoulder to cry on and friend to play wif, cats have been vital crew members, especially for the first-time sailors, many still just boys and girls, far from home and headed straight into enemy territory. OR, perhaps I would be like the most famous of all Navy Cats – Simon of the HMS Amethyst. 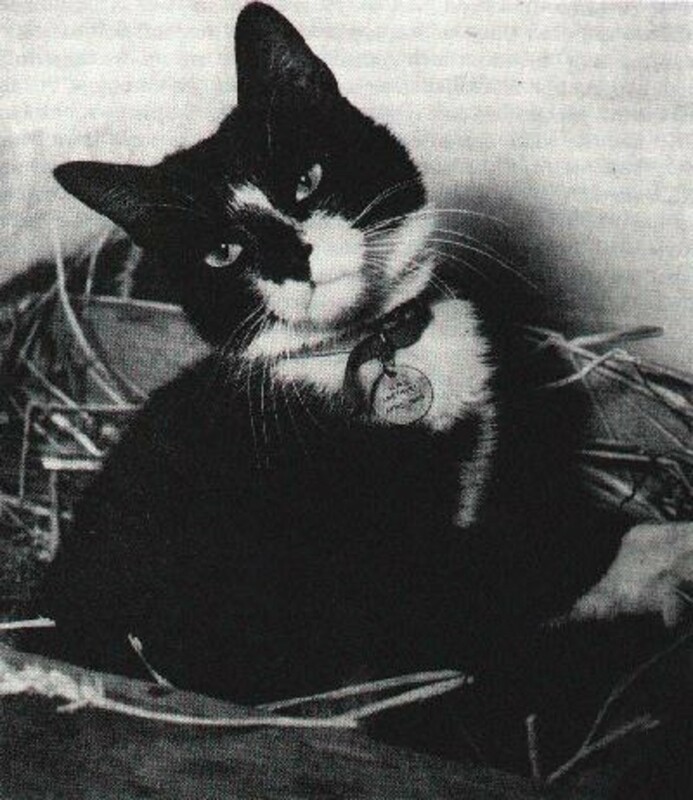 Simon, ship mascot of the British sloop, HMS Amethyst, was not only promoted to the rank of Able Sea Cat but also the only cat in history awarded the prestigious Dickins medal, “for Animal Gallantry Under Enemy Fire.” In 1949, in the midst of a raging civil war for control of China, The Amethyst came under fire as they navigated up the Yangtse River on their way to evacuate British personnel from the Embassy in Nanking. Several crew members, including Captain Skinner were killed. Many more were wounded, including Simon, who had been in his usual place in the Captain’s cabin and suffered serious burns and shrapnel wounds. The ship ran aground and suffered through days of sniper fire. Communist Army officials demanded that the new Captain, John Kerans, admit fault by saying the British ship fired first. Captain Kerans adamantly refused and crew was held hostage for over 100 days. Stuck on board with no medical supplies, 1/2 rations and no refrigeration, the Amethyst soon became a stink-feast of rotting food. Worse still for the sailors’ morale was the sight of rats eating what little food they had, including an obnoxiously big rat, who would parade around deck in broad daylight. The sailors, knowing that Simon was too weak to catch the rat, tried to trap him but without success. They named the nasty blighter Mao Tse-tung. On deck one morning, an officer saw Simon limp on to the deck and bump straight into Mao. 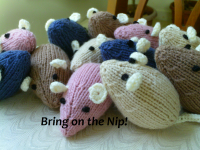 In the blink of an eye, Simon leapt and snapped the rat’s neck. The crew cheered, holding up Simon and flinging their symbolic oppressor overboard. Back on his game, Simon quickly rid the ship of the rest of the rats while Captain Kerans planned a daring mid-night escape, racing down the Yangtse under fire from Communist Guns. and yet, our Dear Hero was never fully able to bask in his fame, for the long confinement in medical quarantine, plus an virus picked up possibly during his recovery, and quite probably, stress from being on land after a life time at sea, maybe even a confused and broken heart at the unexplainable disappearance of his crew mates, further sickened Simon and he died before he could received his medal. He was laid to rest in Ilsford, in East London, with full honors. The entire surviving crew of the HMS Amethyst attended his funeral. Able Sea Cat Simon, we salute you! Thanks thanks and more thanks to the Veterens of the HMS Amethyst, who pooled their memories of “The Yangtse Incident” and of Able Sea Cat Simon on the great website Maritime Quest Also, to Purr n Fur UK whose painstaking researched on Simon and his story has inspired us all.